John Boggs attended Portland State University studying Psychology and International Speech Communication. Early in his career, Mr. Boggs achieved multiple salesman of the year (Rolex winner) awards. John was a board member and executive for 22 years, with the Villa Group. He has trained and motivated literally, thousands of salespeople, sales managers and sales directors. 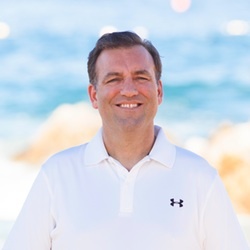 John has personally coached many of the real estate and hospitality industries most successful leaders, including Developers, Marketing Company Owners, Project Directors, Marketing Directors and Sales Directors. In 2010, John founded Maximum Sales Power expanding his speaking and teaching to international stages. John has spoken alongside many of the top leaders in the personal development movement, such as, Bob Proctor, Les Brown, Mary Morrissey, Gay Hendricks, Peggy McColl and many others. In 2013, John joined Life SOULutions That Work and the Life Mastery Institute in the role of CEO. Today, John continues to teach, speak and coach world class leaders from many countries around the world. Chris started his sales career in the Real Estate business in 1989. He became a top producer which eventually led to training and consulting other businesses and individuals on reaching their highest level of success. He has earned many recognitions throughout his sales career. Most recently the “Rolex Winning” salesperson of the year in 2009 and in 2010 as well as the sales manager of the year award in 2012. In 2010 he co-founded Maximum Sales Power, a Division of The Life Mastery Institute. He holds several coaching certifications including that of a Life Mastery Consultant. 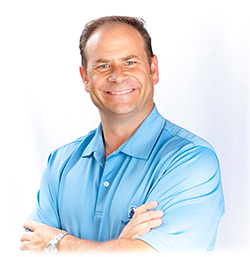 He is a public speaker, teacher and success coach primarily focused on helping salespeople, entrepreneurs and business leaders increase their results. Coaching and developing others is his true passion and full time career. With Maximum Sales Power, Chris has created a unique platform to reach out to thousands of people that share in common a burning desire to win. Maximum Sales Power has proven programs with coaching and courses of study designed to help businesses and individuals achieve “full spectrum success”. Chris is making an impact and touching thousands of lives. His perspective is filled with opportunity as well as gratitude for those who helped him along his own personal journey. Chris’ strength is in the ability to think creatively, follow proven success principles and to motivate others to take action.